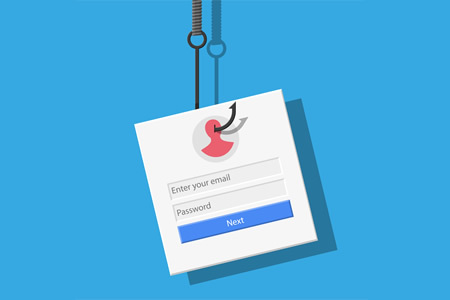 A phishing attack on Draper, UT-based HealthEquity Inc., has resulted in the exposure of members’ protected health information. The data breach was limited to one email account, although an analysis of the messages in the account revealed a range of PHI was potentially obtained by the attacker. Information possibly compromised in the attack was limited to names, email addresses, HealthEquity member ID numbers, employer ID numbers, employer names, health account type, deduction amounts, and for some Michigan-based employees, Social Security numbers. The breach was identified on April 13, 2018 and was discovered to have occurred two days previously, giving the attacker 48 hours to access messages in the account. Access to the compromised account was immediately terminated to prevent any further unauthorized access. A third-party computer forensics firm was engaged to conduct a full investigation into the attack. The investigation confirmed that the breach was limited to a single email account and access was gained due to human error – the employee responding to a phishing message. No other systems were compromised or affected by the phishing attack. While PHI access was possible, no evidence was uncovered to suggest the emails in the account were opened or PHI was obtained by the attacker, although out of an abundance of caution, all affected individuals have been offered complimentary credit monitoring and identity theft protection services through ID Experts. As a HIPAA covered entity, HealthEquity is required to send notifications about the breach and issue a media notice to a prominent media outlet within 60 days of discovery of a PHI breach. That notice was provided to ClickOnDetroit. The breach was limited to two companies, both of which have been notified about the security incident. The two Michigan companies affected have been offered five years credit monitoring and identity theft protection services for all individuals impacted by the breach. Most breached entities that offer such services only provide 12 months, or in rare cases, 24 months access to those services. The breach portal of the Department of Health and Human Services’ Office for Civil Rights indicates 16,000 patients have been impacted by the incident.